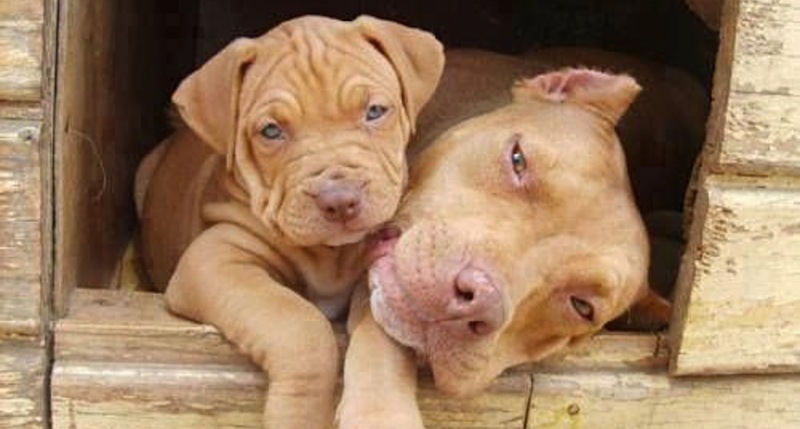 The Proof That Pit Bull Mommies Are As Loving As We Are! Life can be pretty tough if you’re a pit bull. Discrimination against the breed has been rampant for years, and often pits are put to sleep due to overcrowding in shelters, abandonment, abuse, neglect, or simply due to the way they look. But together, we can make a better future for pit bulls. It’s the dream of dog and pit bull lovers everywhere, and it’s the dream of pit bull mamas around the world. Please SHARE this message of pit bull love and acceptance with everyone you know!